Lensbaby has just announced Sol 45, a budget-friendly tilt-shift lens. The Lensbaby Sol 45 is a 45mm f/3.5 lens, designed for both DSLR and mirrorless cameras. The company describes it as its “most playful and accessible lens yet,” so let’s see what you get with this $200 creative lens. A tilt-shift lens is most likely not the first one you’ll buy after the kit lens. But, a specialized lens like this can be a great problem-solver in many situations, or add a new dose of creativity to your shots. In this video, Jon Lorentz of Canon USA gives you some tips on using tilt-shift lenses, so you’ll get some ideas about how they can improve your photographic work. Often relegated to the realms of architectural, product photography and the occasional bit of timelapse, tilt-shift lenses aren’t typically found in a portrait photographer’s bag. But if “portrait photographer” describes you, then should you consider getting one? Eric Floberg things so, and regularly uses his Canon TS-E 45mm f/2.8 to create more interesting and unusual portraits on location. A bunch of new gear announcements from Canon today. First up, the EOS M100 mirrorless camera with an APS-C sized 24.2MP sensor and EF-M lens mount. There’s three new tilt shift macro lenses at 50mm, 90mm and 135mm. A new MT-26EX-RT twin macro flash is also being launched along with the new glass. But the biggest piece of news is the long awaited 85mm f/1.4L IS USM. Many will see the 85mm f/1.4L as simply an update to the 85mm f/1.2L, but in many ways it’s a very different lens. Losing that third of a stop of light has resulted in a new optical design as well as built in image stabilisation. It’s also supposed to be able to focus much faster with full time manual focus override. The tilt-shift effect has become quite common in regular ground based timelapse sequences. So much so, that we’re a little sick of seeing it. Not because we don’t like the effect, just that so many people do it quite badly. The same is true with drone tilt shift videos. I’ve seen a handful of really bad ones, and maybe one good one before this one happened to appear on my screen. Created by commercial drone cinematographer, Barry Grant, this short film shows off some of Scotland’s beauty in miniature, and it does it very effectively. The tilt-shift effects works rather well, and some clips really convince you that you’re looking at a miniature model. I’ve known Barry for a little while, and he’s even shot a little footage for my vlog. So, after watching this, I fired off an email to Barry to find out a little more. So far we’ve given you plenty of interesting ways for creating tilt-shift effect. You can use a lens to do it or even use Photoshop or Lightroom. 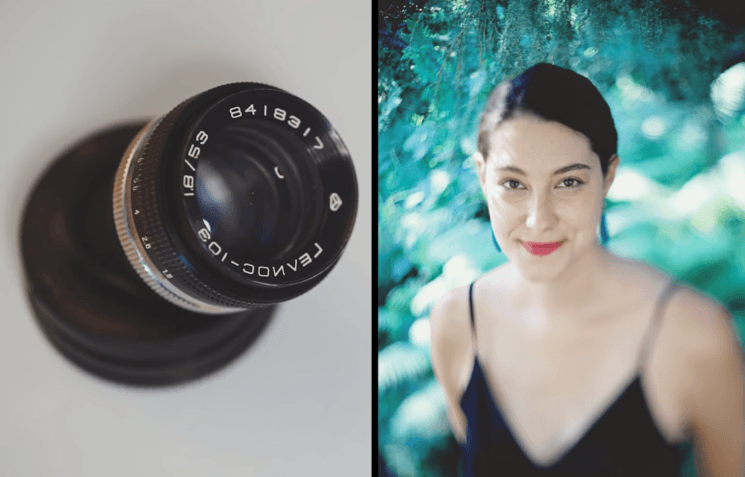 In this tutorial, Mathieu Stern gives you a quick and easy tutorial for turning vintage Helios lenses into tilt-shift with some DIY magic. And the best of all is – you need only two elements and $30 for the entire build. Do you like photos with tilt-shift effect? If you do, then you know there are plenty of ways to make them. You can either buy a tilt shift lens or make one on your own. And if you prefer doing it in post-processing, Photoshop and Lightroom will be your allies. 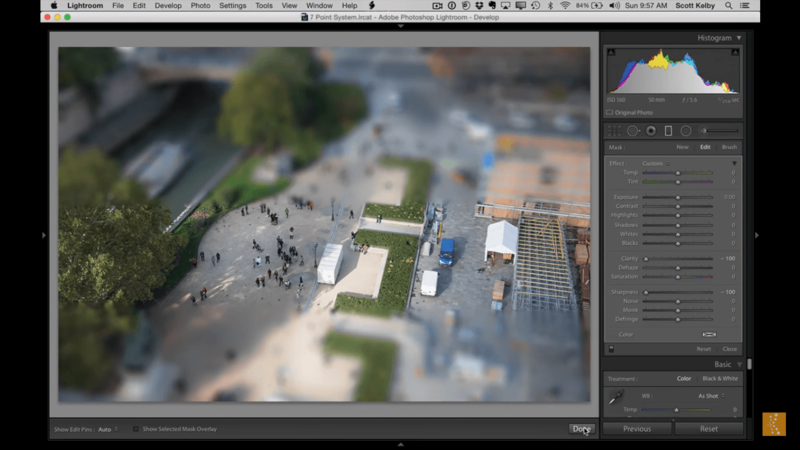 This tutorial from Scott Kelby teaches you to fake tilt-shift effect in Lightroom in no time. Although tilt-shift lenses have many uses, one of the most common for timelapse photographers is miniaturisation. Tilt-shift lenses are expensive, though. Certainly worth the investment for things like architecture or products. But for most of us, who’ll only use it very occasionally, not so much. Most of the time, the look is simulated in post. While the tilt shift look is not new, this video from Rob & Jonas is probably one of the best explanations I’ve seen on reproducing it in the computer. It’s not necessarily because of the technique or software used, but because Rob shows us exactly what miniature is supposed to look like. He does that by actually shooting something in miniature. In this case, Lego sets and characters. Rob reverse-engineers the look to apply it on a larger scale. It offers some valuable insight into both the shooting of it, as well as the post production. Nowadays mirrorless cameras are becoming more and more popular. One thing people adore is its compact size and weight, other, the ability to adapt other system lenses via special adapters. on the technical side, though, 18 mm flange focal distance allows Sony mirrorless system to adopt practically any other system lenses, like Canon EF, EF-S, Nikon S, F, M42 etc. Looking native lens lineup at the moment, we see that there are no tilt-shift lenses for Sony. You can adapt other system tilt-shift lenses, but they are pricey, large and heavy. Another option is to thing is to look for workaround. That’s what I did. I found a tilt M42 to Sony E mount adapter. Price wise it was ~30$, weights 130 grams, provide maximum 8 degree tilt – exactly thing I wanted, the ability to play with focal plane and bokeh. Though it does not have the shift part of a tilt-shift lens, it is good enough for what I need. Tilt shift lenses are used for far more than simply making cities look like they were shot as miniatures. They allow you to correct for perspective distortion. They also let you shift the focal plane to get subjects at different distances in focus and a whole lot more. You don’t get quite the versatility that you would from the movements of a large format camera, but they’re a start. Of course, the miniature effect in recent years (whether shot in camera, done in post, or applied in Instagram) has made tilt shift lenses quite popular. In this video from LensProToGo, we’re walked through the features of tilt-shift lenses, and exactly how they do what they do.